​Renters who have a dog or more than one dog may face additional challenges when renting an apartment or a house. One of the primary challenges the renters may face is finding a living situation which is acceptable to them and also willing to accept their pets. This can be difficult as many rental properties do not allow dogs at all. Those who do allow animals on the property may place certain restrictions on they size and breed of dog which may reside on the property. The first step in renting with dogs is to find an acceptable living situation. For those who wish to rent with dogs, the first question to be asked should be whether or not dogs are allowed to live on the property. This is important because it can save the renter a great deal of time. The renter may otherwise invest a great deal of time learning more about the property or even undergoing a credit check only to find out pet are not permitted. For some dog owners, finding a rental situation which allows dogs is not the end of the search. The renter should also confirm the type of dog he owns will be allowed to live on the property. This may include both the size of the dog as well as the breed as some apartment complexes place limitations on the size of the dog and also prohibit certain breeds. Again confirming these facts early in the search for an apartment can be a tremendous time savings especially for those who own large or commonly banned breeds. Renters should also consider the surrounding area when selecting a rental property. An ideal location would be one in which there is an adequate location to walk and exercise the dogs. Areas with large grassy areas may be ideal while areas which do not have a location to walk a dog may be problematic. Renters who have dogs should read their contract carefully before making a decision to rent a particular property. This is important because many landlords may impose restrictions on renters who own dogs. These restrictions may include, but are not limited to, requiring an additional security deposit for the renter, requiring specific cleaning methods on the carpets after the renter vacates the apartment and holding the renter responsible if the dog engages in nuisance barking. Nuisance barking can be a problem in apartment situations where the apartments are located close together and even share a common wall. Renters should be aware that in some situations, nuisance barking can be a cause for eviction. For these reasons, renters who own dogs should take the time to familiarize themselves with the rental contract. Finally, renters who have dogs may have to take additional efforts to maintain their apartment. This may include more diligent cleaning, especially of the carpets. Renters with dogs should respond quickly to accidents in the house to minimize the possibility of permanent staining and odors. Each accident should be addressed immediately and every effort should be made to clean the affected area completely. Renters with dogs should also vacuum regularly especially if their dog is a heavy shedder. This will help to keep the living environment cleaner and will also minimize the amount of cleaning required when the renter vacates the property. Regularly vacuuming will prevent hair from being embedded into the carpet so deeply that it is difficult to remove. Finally, renters with dogs should take care to pick up after their dogs while on walks and to keep their dogs leashed while in common areas. Many cities have leash laws and laws regarding picking up after dogs. Even if these laws are not in effect, renters should follow these policies as a courtesy to their neighbors. Additionally, keeping dogs on leashes during walks helps to ensure their safety by preventing them from running into the street. Condo chasing can be exceptionally overwhelming for some potential tenants. Frequently the assortment of alternatives accessible to these tenants is a wellspring of overpowering disappointment for the leaseholders. With such a large number of engaging alternatives it can be hard to pick only one. Be that as it may, there are a few tips which can facilitate the procedure of condo chasing. The procedure of finding the ideal condo can be separated into three straightforward steps. The initial step is to set a financial plan. Next the leaseholder ought to look into their accessible alternatives and afterward correlation shop to figure out which choice is the best. For some leaseholders the most imperative thought is the amount they are willing to spend on a condo for every month. Hence it ought to shock no one that the initial phase in the flat chasing procedure ought to incorporate building up a financial plan. Leaseholders ought to consider their month to month pay and subtract out the majority of their month to month costs from this sum. Month to month costs ought to incorporate all bills which are paid frequently and additionally cash spent on nourishment, excitement and different things every month. The leaseholder might likewise wish to subtract out an extra add up to take into consideration a few reserve funds every month and additionally crises. The aggregate left after these subtractions is the sum the leaseholder can spend on a loft for each month. Once this sum is built up the leaseholder will have a superior comprehension of the kind of condo they can bear. Once a financial plan has been built up, the leaseholder ought to start exploring the properties which fall inside of his financial plan range. It is liable to consider properties which are marginally over the extent and additionally properties which are somewhat underneath the reach. Doing this will permit the leaseholder to check whether there is a chance to either make upgrades on the measure of month to month spending to take into account the leasing of a more costly property. The leaseholder can likewise figure out if or not they feel there is the chance to arrange a lower rental rate on a specific property. At the point when at first scrutinizing properties, the leaseholder does not as a matter of course need to visit every property. The greater part of the evaluating data can be gotten from assets, for example, Internet sites, daily papers and rental magazines. Since evaluating is the essential worry as of right now, the starting exploration will empower the leaseholder to dispense with properties which are too far out of their cost range. Once the leaseholder has limited down his rundown of conceivable flat edifices to a more reasonable number the time has come to begin going to these properties. It is amid this stride the leaseholder will truly figure out the nature of the condo and the sum and nature of luxuries offered by the complex. This is essential since this data can be utilized to settle on properties which are generally fundamentally the same. The examination shopping procedure is additionally advantageous on the grounds that it gives the leaseholder some bartering power in arranging more ideal rent rates. Tenants who have gone by various flats likely have a smart thought of the going rate in a specific zone for a specific size loft. These leaseholders can utilize this data to possibly persuade some renting operators to bring down their costs no less than a tiny bit. There won't likely be gigantic drops in cost from these transactions yet it will probably be sufficient to be viewed as beneficial. Renters who are viewing apartment complexes are often led to furnished models which have been tastefully decorated. Although the furnishings in these model apartments are usually very aesthetically appealing they also usually serve another purpose as well. This other purpose is to make the room appear larger than it is. There are decorator and furnishing techniques which can make a room in an apartment appear considerably larger than it really is. The size of the bed, the amount of furniture and the layout of the furniture are all items which should be carefully considered when viewing model apartments. This article will cover these three items and will provide useful information for renters who are trying to evaluate furnished apartments. Determining the size of the bed in a model apartment is important for the purposes of evaluating the apartment. If you are unsure of the size of the bed used in the model, ask the leasing agent for clarification. This is important because if the bed used in the model is a full size bed and your own bed is a king size bed, it will be difficult to make assumptions about the size of the bedroom. The differences in a full size bed and a queen size bed may not be as noticeable but renters should be aware a queen bed will result in less free space in the room. If the bed used in the model is not the same size as your own bed, take measurements to determine how well your own bed will fit in the room. When viewing a furnished, model important it is important to note whether or not there is enough furniture in the room. For example there may be a kitchen table and only two chairs instead of four. This may make the room appear larger to those who are viewing the apartment but they are likely going to be disappointed when they move in. Consider the furniture in other rooms as well. For example a bedroom which only has a bed and a nightstand will be decidedly less crowded than a bedroom which has a bed, two nightstands and a dresser. Your furniture may not be exactly the same size as the model furniture but there should be comparable items in each room. Renters should also carefully consider the layout of the furniture when visiting a furnished apartment. An apartment may feature all of the pieces of furniture the renter expects to see in the room but may position these pieces of furniture in a way that is not logical. Consider the family room as an example. There may be a couch, an entertainment center, a television set, a coffee table and two end tables but if these items are positioned strangely it can be deceiving. Most renters arrange their living room furniture in a manner which makes the area conducive to conversations as well as viewing of the television. If the television is positioned where it is not viewable from any of the seating options, the layout of the room is somewhat unnatural. It is not likely to be similar to the layout used by the renter and therefore does not offer an accurate representation of how the space will likely be used. Those who live in a rental apartment are usually quite limited in the amount of decorating they are able to do. This can have the impact of making a rental apartment not quite feel like a real home. In many cases the rental apartment is painted a bright white and residents often feel as though this color is somewhat impersonal but are not able to repaint the walls to a more appealing color. This is just one example of the decorating restrictions which may be placed on an individual renting an apartment. There may be other restrictions and reading the contract carefully will help the renter to determine what is allowed and what is not allowed. Renters who are living in an apartment should review their contract documents carefully before they begin decorating their apartment. This is important because there may be some common decorating items such as painting or installation of shelving which may not be allowed by the contract documents. Decorating in any manner which is strictly prohibited may result in harsh penalties. These penalties might involve the assessment of fees at the conclusion of the rental period or possibly even eviction. Most standard decorating items such as hanging pictures are usually acceptable but some particularly strict policies may either prohibit this completely or place restrictions on the type of nails which may be used or the methods of patching the holes. Renters who have questions regarding whether or not specific decorating actions are permissible or prohibited should contact their leasing agent before taking action. This will help to ensure the renter is not penalized in the future for their actions. Additionally, if the leasing agent tells the renter it is acceptable to perform an action prohibited by the rental agreement, the renter should always ask for a signed, written document stating the exception to the contract. This is helpful because the leasing agent may not remember making an exception to the rule or may not even still be working at the property when the renter’s lease expires. When renters in an apartment living situation are making decorating decisions, one of the most important factors to consider is whether or not a modification to the apartment is reversible. In most cases, the action is likely to be permissible as long as it is easily reversible. However, the case of painting the apartment is a common exception to this rule. Although painting can easily be reversed, most apartment complexes due not allow residents to pain the apartment in which they reside. This is because although painting is often reversible, the process of returning the wall to the original color is not always easy. Irreversible modifications such as removing walls or adding permanent fixtures to the apartment are typically not considered acceptable when decorating a rental apartment. Although even major modifications are typically not completely irreversible, most leasing agents would consider modifications which require the assistance of a general contract to be permanent in nature. Conversely, small modifications such as nail holes to hang pictures are considered reversible because they can easily be corrected. Again, if the renter is unsure of whether or not an action is permissible, they should seek clarification from the leasing agent. Most renters pay a security deposit before they take possession of the apartment. This security deposit is collected to protect against damages which may be caused by the renter during the course of the rental agreement. The leasing agent may expect to need to do some minor cleaning or a few small repairs after the renter vacates the premises. However, a deposit large enough to cover the cost of more significant repairs is often collected to provide the leasing agent with some protection in case the renter damages the apartment and leaves it in need of considerable repair. Some vacationers find a rental swap to be an ideal situation when they are traveling. 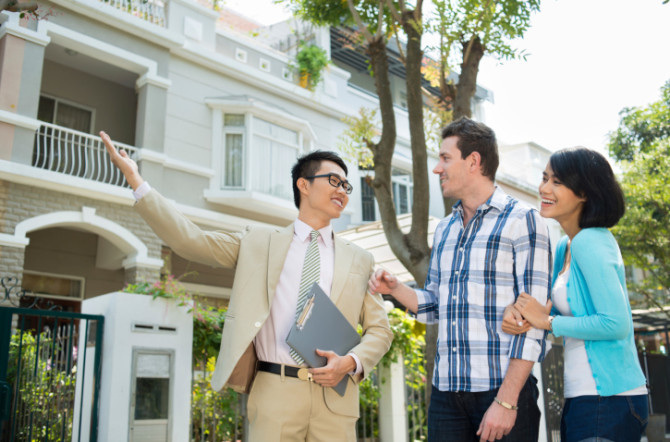 Homeowners, especially in desired locations, may find there is a great deal of interest from others who would like to rent their home for a short period of time. Typically this is about one to three weeks although it may be longer or shorter in some cases. A rental swap is essentially where a homeowner in one location offers the use of their home to another homeowner in exchange for use of the other homeowners home. Ideally these swaps will take place concurrently but in some situations swaps are organized at different times of the year. For many a rental swap is worth considering because it can result in a tremendous financial savings. Lodging often accounts for a large portion of a vacationers travel expenses. By eliminating these costs the vacationer may find they are able to add additional aspects to their vacation. For example, by eliminating lodging costs, a vacationer may have money left over in the travel budget to see a few plays, eat dinner at extravagant restaurants or purchase tickets to sporting events. 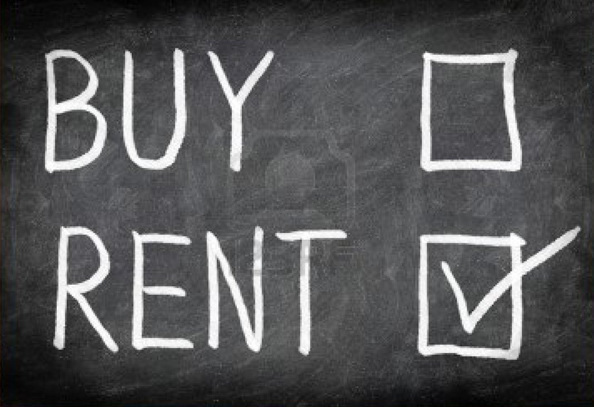 A rental swap, however, does not always automatically translate to a financial savings. Consider the cost of staying in a hotel within walking distance to major attractions as opposed to participating in a rental swap 10-20 miles away from most major attractions. In the case of the rental swap, the vacationer will most likely have to rent a car during their stay but might not have to do so when staying in a hotel. The need for a car, whether or not the kitchen in a rental swap will be utilized to cook meals and other factors should be considered in determining whether a rental swap or hotel stay is more financially logical. In most cases a rental swap usually results in a more comfortable stay than a visit to a hotel. Of course there will always be situations in which the quality and even the size of the hotel may be superior to the conditions of the rental shop but for the most part, vacationers usually feel more comfortable in a rental swap situation. Staying in a home typically provides the vacationer with more privacy as well as the ability to spread out a little more. This can be very beneficial for keeping the peace especially for large families who may quickly feel overcrowded in a hotel situation. While a rental swap may certainly seem appealing, there are some inherent risks to this type of lodging situation. First of all the possibility of the rental property not being exactly as described is a very real risk. Homeowners may exaggerate the appeal of their property either intentionally or unintentionally. Regardless of the intent of the homeowner, the vacationer may still find themselves in a situation where they are disappointed with the accommodations. This may be because the house is not as large or well appointed as described or because the house is older and less well maintained than depicted. Another risk to a rental shop is the possibility of the other homeowner not noting the correct dates. Although this is also a possibility with a hotel, it can be more troubling when the vacationer was counting on the rental swap for their accommodations during the stay. While a hotel might make every effort to accommodate the hotel guests when there is a mistake, homeowners in a rental swap may not have the available resources to find an alternate place for the vacationers to stay. One final risk which exists in a rental swap, is potential damage to your own property when you allow others to use the property. Homeowners can work to minimize the trouble in these situations by screening those who they are considering for a rental swap carefully. Additionally, homeowners can take security measures by alerting the police as well as neighbors that a stranger will be staying in the home. This will help everyone to be more vigilant and aware of the potential for problems. Numerous tenants scarcely even skim their rental agreement before marking their name at the base. Most tenants are fundamentally worried with the month to month charges, one time just expenses, required stores and other money related matters. When they check this data is precise as indicated by their discussions with the renting operators, they frequently consent to the arrangement without any inquiries inquired. This is a mix-up on the grounds that a rental agreement is a legitimate contract which may have a large group of imperative data which the tenant ought to know about before marking the archive. The individuals who are thinking about how possible it is of a flat mate might erroneously trust this is conceivable in light of the fact that they are living alone and have two rooms and two rooms. These ignorant tenants may see a chance to impart their rent to another. On the other hand, some rental agreement entirely restrict leaseholders from requesting their own flat mates and permitting an extra individual to move into the condo after the lease is as of now marked. Tenants who damage this agreement might confront brutal punishments. These punishments might even incorporate ousting. Leaseholders who need to have the choice of a flat mate ought to in a perfect world settle on this choice before the agreement is agreed upon. This will empower the mortgage holder to place procurements into the agreement to consider the tenant to add an extra inhabitant whenever. The renting operators might at present require last endorsement of your flat mate yet this endorsement procedure will probably be subject to the consequences of an individual verification and in addition a check of the potential flat mate's funds. Need to Adopt a Pet? Tenants who wish to embrace a pet soon ought to additionally acclimate themselves with the rental agreement This is vital in light of the fact that confinements on the sorts, size and particular type of pets apply when the tenant moves in as well as all through the terms of his rental understanding. This implies a tenant who has marked contractual reports expressing they don't claim any of the restricted pets, for example, canines or felines are not allowed to buy or receive extra pets over the span of the rental agreement . Along these lines, tenants who don't have pets yet plan to embrace or buy pets sooner rather than later ought to peruse the agreement archives as though they are as of now a pet proprietor and choose whether or not to sign taking into account the announcements inside of the arrangement. Arrangement on Having Visitors Regularly? Indeed, even leaseholders who have consistent overnight visitors ought to acquaint themselves with their rental understanding before marking the archive. This is critical in light of the fact that successive visitors might really be considered inhabitants in a few circumstances. This will probably rely on upon the particular rental agreement yet it is not by any stretch of the imagination exceptional for renting specialists to determine that guests who spend a particular number of evenings on the property every month are thought to be inhabitants of the flat. This is imperative in light of the fact that the rental agreement might plainly recognize what number of individuals may dwell in the condo at any one time. Guests who are staying at the condo again and again might put the occupant at danger of being blamed for having extra persons living in the loft. In a few circumstances this may be considered reason for removal. Consequently, the tenant ought to make sure he is acquainted with the terms of the agreement before permitting others to spend the night in the loft all the time. ​For some tenants the likelihood of utilizing a rental circumstance to spare cash is an outside thought. These leaseholders frequently weep over the way that they need to lease a property instead of procurement a property in light of the fact that they feel as if not owning the property is fundamentally discarding cash every month. In any case, this is not so much genuine. While there are surely advantages to homeownership and building value mortgage holders can likewise advantage fiscally by leasing a condo as opposed to obtaining a home. While it is positively genuine that cash spent every month on rent does not get the tenant any closer to homeownership while every month to month contract installment makes the mortgage holder one stage closer to owning the property totally. Then again, this is not the entire story. Tenants ought to additionally consider the measure of cash they will have the capacity to spare every year with the end goal of living so as to acquire a home in an investment property at this moment. Some eventual mortgage holders find leasing a little condo can permit them to begin putting something aside with the end goal of obtaining a house later on. Tenants why should willing penance comfort now and stay in the littlest condo conceivable will probably have the capacity to spare the most cash towards buying a home. As a rule the month to month rent for a condo depends on a quality for every square foot. This worth may differ marginally starting with one property then onto the next yet is prone to be fundamentally the same in properties in the same general range. This implies lofts which are littler regarding square footage are liable to be less costly by and large. Along these lines tenants who might regularly feel more great and ready to spread out strength pick a littler condo so hopefully they can start sparing more cash for their home buy. Leaseholders who need to spare cash for the buy of a home while leasing a flat ought to comprehend their month to month rent is not by any means the only component which may keep them from sparing cash while they lease. For instance diversion expenses ought to painstakingly be considered when a leaseholder is attempting to spare cash. Most investment properties have a completely prepared kitchen making it perfect for the tenant to get ready suppers at home rather than going out to eat. Tenants who cut down on having supper out may discover they can spare a considerable amount of cash every year. In like manner tenants who are spending an abundance measure of cash on pointless things might experience issues putting something aside for a house while leasing a flat. Analyzing all present month to month consumptions can help the tenant to figure out where there is the potential for monetary reserve funds. Rolling out improvements, for example, obligation combination may be one approach to decline month to month charges yet this is unquestionably not by any means the only arrangement. Tenants can roll out different improvements, for example, wiping out memberships to premium motion picture channels, minimizing PDA arrangements to incorporate just the measure of minutes utilized every month and rolling out improvements to protection arrangements to result in a general reserve funds. Changes to protection arrangements might incorporate having your auto and leaseholder's protection secured by the same bearer. Numerous transporters offer marked down administrations to leaseholders why should willing package their administrations. These slight changes can empower a leaseholder to spare cash for a home buy later on. ​When you are looking at apartments, there are some questions to as when renting an apartment. You need to know if the locks are changed. Not all property managers change the locks and count on previous owners turning in all the keys. You might want to ask for the locks to be changed, or ask if you can change them. This will protect you in the future if there are any extra keys unaccounted for by the property owner. Another question to ask when renting an apartment is about the utility bills. You want to find out the monthly bill and if there is a budget plan, you can be on to spread out high bills during the winter months. Most property owners have this information, but if they do not, you can call the utility companies and they will tell the information for that address. When you think about another question to ask when renting an apartment, you might forget the obvious question about grace periods for late rent. Some property owners give you a five-day grace period to pay the rent, if you go past this day, there may then be additional charges added on for late fees. You need to know this in case it would ever happen. If you are in between paychecks, you might want to save some money so you are always ahead a month. The last question to ask when an apartment is if there are any smoke detectors in the building and are they working properly. In addition, you need to know the fire exits that are available to get out of the apartment in the event of a fire. This is very important for anyone renting or buying a home or apartment. You want to make sure there is a safe exit in case the need arises. Many people forget this question when renting an apartment or a house. You might even think of some more questions from past experiences. Ask all the questions you need to have answers for before signing any lease to ensure your peace of mind. Some other questions to ask that most people forget about are the school district, the neighborhood reputation, if there is public transportation nearby and garbage collection schedules. These are just some more questions that people forget to ask. Another very important question would be about parking rules and regulations if you are going to park on the street. Many cities and towns that have winter weather with snow and for other reasons do not have parking on streets after a certain time. You will want to find out this information because, you may find yourself in need of a parking place that might be farther away from your home. This could become an issue if you have to walk a good distance late at night by yourself. 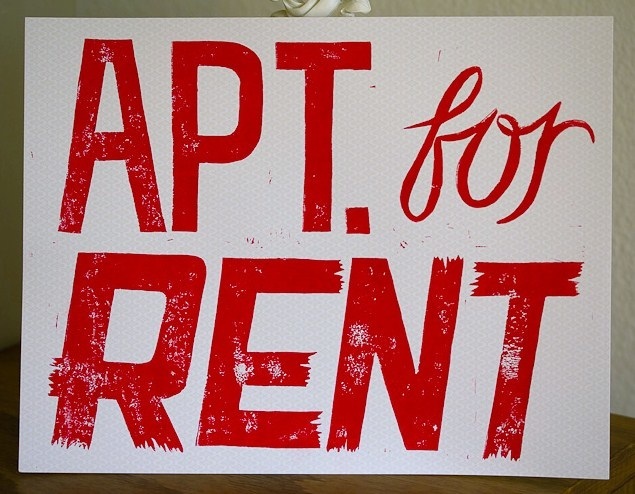 If you think about it, any question is a smart question when renting an apartment. You want to have something that can accommodate you and not have you accommodate it. Renting an apartment is a very serious decision which warrants a great deal of attention before a final decision is made. When choosing an apartment to rent, renters have a variety of factors to consider including, but not limited to, price, size, location, amenities, whether or not they want a roommate and how long they want to stay in the apartment. Those who plan to rent an apartment should consider all of their options before making a decision to ensure they are making the best possible decision. This article will discuss the importance of considering all of the possible options as well as the possibility of having roommates and the importance of reading contracts carefully. When renting an apartment, the renter should first investigate all of the options available to him to ensure he is able to make an informed decision. This is important because the renter may not even be aware of all of the available options until he starts to for an apartment. The best way to find out what type of apartments are available is to do some research on the Internet and in newspapers and rental magazines and then start visiting apartments which seem interesting. In visiting the apartments the renter will get a better idea of the size and types of amenities which are available in his price range. He will also begin to learn more about the types of amenities available. This is important because not all apartments will offer the same amenities. Renters may not find what they are looking for unless they visit a few places before making a decision. Deciding whether or not to have a roommate or multiple roommates is one of the important decisions a renter will have to make. This is an important decision because roommates can make a living situation either significantly better or significantly worse depending on a number of factors. These factors may include compatibility of the roommates, ability to pay the rent and ability to assist in the household activities. Having roommates can make an apartment more affordable. Often larger apartments may be more affordable for two people than a smaller apartment would be for one renter. Additionally, apartments designed for two or more people often have a larger overall living space with a larger kitchen, dining room and family room. This makes the possibility of roommates very appealing to some renters. However, there are some caveats to making the decision to live with a roommate. Care should be taken to carefully screen potential roommates to ensure they are not potentially harmful. Strangers do not present the only potential roommate problems. Problems may even occur when the roommate is a trusted friend. In these cases, compatible living styles may be the issue. For example, if one roommate likes to stay up late and listen to music or watch television and the other roommate likes to go to sleep early there can be some conflicts if compromises are not made. Also, if one of the roommates is particularly neat and the other rather messy, conflicts may arise. Whether a renter opts to have a roommate or not and regardless of the type of apartment they select, the renter should be careful to read the contract before signing it. This is important because a rental agreement is a legal document and the renter should understand this document before they sign the agreement. Many renters may never need to know the exact information in their contract document but if a dispute arises, the renter should be aware of his rights. Additionally, the renter should pay special attention to any sections of the contract which specify the landlord’s ability to evict the tenant. Contract sections specifying the requirements of the renter are also very important. This may include requirements for breaking the lease agreement in the event that the renter has to move before the lease period ends. ​Apartment hunting can be extremely overwhelming for some potential tenants. Frequently the assortment of choices accessible to these leaseholders is a wellspring of overpowering dissatisfaction for the tenants. With such a large number of engaging choices it can be hard to pick only one. Be that as it may, there are a few tips which can facilitate the procedure of loft chasing. The procedure of discovering the ideal condo can be separated into three basic steps. The initial step is to set a financial plan. Next the leaseholder ought to research their accessible choices and after that correlation shop to figure out which alternative is the best. For some tenants the most critical thought is the amount they are willing to spend on a flat for each month. Therefore it ought to shock no one that the initial phase in the condo chasing procedure ought to incorporate building up a financial plan. Tenants ought to consider their month to month wage and subtract out the greater part of their month to month costs from this sum. Month to month costs ought to incorporate all bills which are paid frequently and in addition cash spent on nourishment, stimulation and different things every month. The tenant may likewise wish to subtract out an extra add up to take into account a few investment funds every month and crises. The aggregate left after these subtractions is the sum the tenant can spend on a flat for each month. Once this sum is built up the tenant will have a superior comprehension of the sort of flat they can bear. Once a financial plan has been set up, the tenant ought to start investigating the properties which fall inside of his financial plan range. It is liable to consider properties which are somewhat over the extent and also properties which are marginally beneath the reach. Doing this will permit the leaseholder to check whether there is a chance to either make upgrades on the measure of month to month spending to consider the leasing of a more costly property. The leaseholder can likewise figure out if or not they feel there is the chance to arrange a lower rental rate on a specific property. At the point when at first investigating properties, the tenant does not as a matter of course need to visit every property. The majority of the estimating data can be acquired from assets, for example, Internet sites, daily papers and rental magazines. Since valuing is the essential worry as of right now, the starting examination will empower the tenant to wipe out properties which are too far out of their cost range. Once the tenant has limited down his rundown of conceivable condo edifices to a more reasonable number the time has come to begin going by these properties. It is amid this stride the tenant will truly figure out the nature of the condo and additionally the sum and nature of civilities offered by the complex. This is vital on the grounds that this data can be utilized to settle on properties which are generally fundamentally the same. The examination shopping procedure is likewise beneficial on the grounds that it gives the leaseholder some bartering force in arranging more great rent rates. Tenants who have gone to various flats likely have a smart thought of the going rate in a specific region for a specific size loft. These leaseholders can utilize this data to conceivably persuade some renting specialists to lower their costs no less than a tiny bit. There won't likely be enormous drops in cost from these arrangements yet it will probably be sufficient to be viewed as advantageous.